We offer a professional window cleaning service in Paisley and Renfrewshire. High quality equipment in the hands of a skilled professional. We are a small Window Cleaning company looking after the good people of Paisley and Renfrewshire. We provide a high quality personal service to all of our customers which includes domestic and commercial clients. Why Choose Aperture Services Window Cleaning? We can clean where others can’t! Do you live in a tenement, flat or townhouse? Maybe some of your windows are inaccessible by ladders? As we use the water fed pole, we can access almost all windows, meaning you can finally have a clear view! Let’s face it, how many of us still carry small change? Never worry about that Friday evening knock again, as we accept bank transfer as a means of payment, letting you pay at your own leisure. Never worry about a bad job, as any issues we return to fix them, giving you peace of mind. The person that answers the phone is the person that cleans your windows! We take pride in our work and business, meaning we always communicate with customers directly. Call 07815 497679 or email [email protected] and tell us where you are and what you need. We assess the job to make sure we meet your requirements. Then make you an offer you can't refuse (well you can if you really want). We start cleaning your windows as often as you need us. Usually every 4 weeks but one-off cleans are also available on request. You pay us by bank transfer (or cash if you are in when we clean). 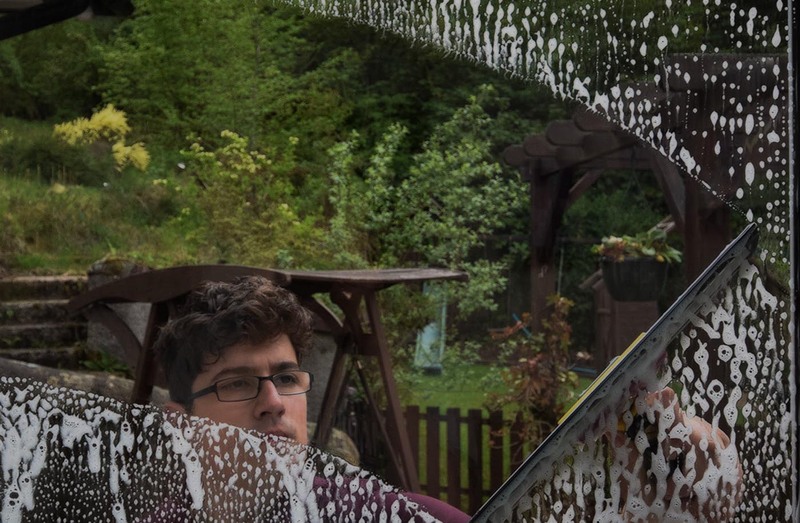 Your friends, family and neighbours marvel at your lovely clean windows. Being on the 3rd floor of a flat isn't easy when it comes to cleaning windows, so when this company gave me a great price I had to give them a chance. I'm so glad I did. I receive a text letting me know when they're coming, payment is either cash or online to their account, and my windows are sparkling. I would recommend them to everyone. Excellent, professional service. Very reasonably priced. Alex communicates well and we’re always kept up to date. Would highly recommend.